Chagatai Khan: GEO TV: National Interest, Seymour M Hersh, Shaheen Sehbai & Dr Shahid Masood. GEO TV: National Interest, Seymour M Hersh, Shaheen Sehbai & Dr Shahid Masood. For the sake of “Go Get Zardari” campaign, the Jang Group of Newspapers is praising Seymour M Hersh Journalist who spit venom against Pakistan, the reason of today Meray Mutabiq in the afternoon [live today 10 Nov 2009 at 1400 PST] is because Seymour's interview carry some Harsh Comment of Musharraf [whose Treason Trial was on the wishlist of Jang Reporters] against Zardari. 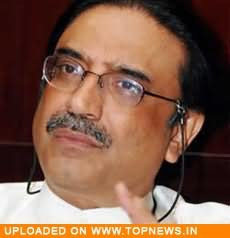 Musharraf spoke of Zardari in harsher words: Hersh Updated at: 1408 PST, Tuesday, November 10, 2009 ISLAMABAD: Seymour Hersh, Pulitzer prize winning journalist, stood by his report containing comments offered by former president General (retd) Pervez Musharraf about President Asif Ali Zardari. He disclosed that the former president had given even harsher comments about his successor but in the ultimate scrutiny he made them mild and allowed the remarks that he made part of his article. Hersh will appear in Geo News programme ‘Meray Mutabiq’, at 2:05 pm today (Tuesday). 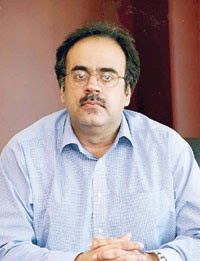 Renowned journalist Dr Shahid Masood hosts the programme. Group Editor of The News Shaheen Sehbai will also participate. It is the maiden interview of the US investigative journalist in the wake of his thrilling write-up in the New Yorker magazine. Reality Muhammad Saleh Zaafir [Very Special Correspondent of The News International/Jang Group of Newspapers] & Campaign Manager of “Go Get Zardari” Campaign. It is a well known practice all over the world that when there is a case against anybody is in the court, the press is always asked to refrain from reporting on the same. ISLAMABAD: The 13-member full court of the Supreme Court on Tuesday accepted the unconditional apology of a newsman for filing a report pertaining to the alleged preparation of references against four senior judges of the said bench. Hyper Nationalism of "Honourable Pakistanis" aka Ghairat Brigade! We think that our problems would go away by raising cheap slogans of Hyper Nationalism. No, they wont rather such hyper nationalism would be counter-productive. Our Media [Read Jang/GEO/The News and Aaj too] instead of training Pakistanis to think critically, has been teaching rather thrusting Third Rate Propaganda to build a nation [it will fail] like Ma'ashrati Uloom Text book of Class 9. Glimpse of what Pakistani media [Read Jang/GEO/The News and Aaj too] avoid telling people. Harsh Truth, is what we need. 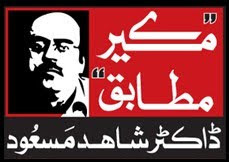 Shaheen Sehbai, Dr Shahid Masood and GEO TV were expecting that Seymour Hersh would bad mouth Asif Ali Zardari so that Jang Group would cash it for filing sleazy stories in their rag [read The News/Jang], what they didn't is published anywhere is published in Dawn. Read Seymour and also read what the world's leading press is writing or written.